Happy New Year! Time for the annual herring choice. Returning to full-time work after a two-year break turned life on its ear, mostly in a good way. Thus it seems last year’s choice of IKEA herring was smart and worthy of repeat. But life doesn’t stand still. And neither does the cat. Back to the topic at hand: What herring choice to embrace whatever 2018 has in store? My Ben Ming Nian will be over soon, and I’m hoping for even better days filled with things fresh and interesting. A friend works at Whole Foods and that lead me to Option B.
I had that pierced last year. Both, actually. Now I can turn a stylish ear to hear what’s coming next. The title of a Pink Martini song and album has come to mind often these last few weeks as scores and scores of tomatoes ripen, and we attempt to pick them at peak ripeness. This year’s tomato planting is in a new spot. Most of the year the south side of the garage is in the dark shadows of the neighbor’s behemoth brick house. My guess was that the high angle of the summer sun would last long enough to yield a hearty crop. And indeed it did. Another title in the running for this post was Incoming! In a nod to monoculture, the hubs planted five roma tomato plants there and two more in pots on the deck. Producing gallons of sauce was apparently the only thing on his mind (more on that another time). But we still topped salads and enjoyed BLTs with these tomatoes. A little variety, however, would have been nice. . .
Back to the harvest, which is where all the comic material lies. The hubs rigged up this wonky trellis for better air circulation and to allow the vines to grow longer and outward, thereby increasing production. When the birds decided it provided a nice, secluded place to sit and grab a snack, he draped the whole business with netting. And the final runner-up title for this posting was Rack ‘Em Up. What he failed to consider was picking tomatoes. The contraption is a little over four feet high, and it requires an awkward combination of yoga and limbo moves to get in and out. That’s accented with grade school-level Quasimodo imitations to plod, hunched over, and reach deep to pick tomatoes. Four times out of five, one of us smacks a noggin on the overhead trellis and at least once a week somebody gets tangled in the netting. Hopefully the neighbors get a kick out of our point-and-pull method. I crouch on the ground, looking up into the vines, pointing out tomatoes; the hubs reaches in almost blindly while I coach “a little to the left and up” in hopes of plucking the ripe fruit hidden in the leaves. Random image of the lovely tomatoes we picked. Not necessarily representative of a day’s harvest. . . The fun continues when the hubs attempts to estimate the day’s harvest. It’s a whole new level of husband math. Example: “Must be five pounds of tomatoes, maybe 12.” Nothing like covering your bases: Nine pounds was that day’s yield. Then there’s the canning pot. Our newish stove has two ceramic burners and two induction. Somehow he convinced himself that we were damaging the large diameter ceramic burner by using prolonged high heat and the old-fashion enameled canning pot. I remain unconvinced. However, since I returned to work he is unattended all day and in possession of a valid credit card. Thus, unsurprisingly, I came home to a shiny new gargantuan canning pot suitable for use on an induction stove. I informed him that we will never can enough of anything to justify the cost. He remains unconvinced. Thus, he has spent much effort outlining possible additional uses for this pot. The best one so far is the pot is big enough to make bagels. Oy vey. Hang on little tomato, it’s going to be a bumpy ride. For quite some time, must be at least seven or eight years, I’ve been making our yogurt. Two reasons: purity and plastic. The homemade stuff doesn’t have any of the additives of commercial yogurt. Or at least very little since every couple dozen batches or so I use the store-bought stuff as starter. And when I realized not buying yogurt was a reasonable way to reduce plastic consumption, well, that sold me on the effort. And it’s not a lot of effort, but it is a commitment. Now that I’m back in the workforce, I’m also back in the time-juggling game. The hubs offered to make yogurt, and after all this time, I relented. 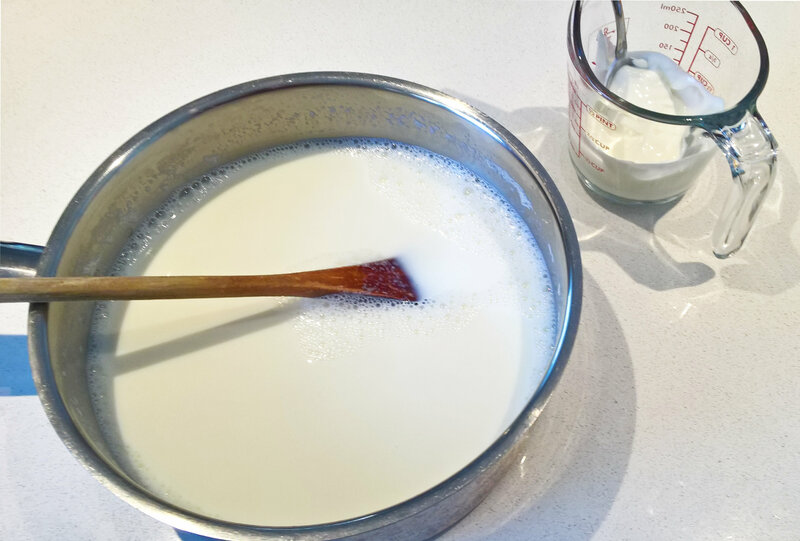 Yogurt-making was on the TTHSND list: Things The Hubs Should Not Do. The list started early in our marriage when he offered to do laundry and tossed in my one silk blouse. . . In this case, I anticipated the task bouncing back to me or becoming a point of contention. Since I’ve been doing this for so long, even when working, that it didn’t seem worth the effort. There is also TTTHDDWBICTI list: The Things The Hubs Doesn’t Do Well But I Choose To Ignore. Topping that list is vacuuming. He does the open areas and, if the mood strikes, gets under a few things but has long since foregone vacuuming the furniture. He’ll break down if he sees one of the dogs ‘hunting’ for pretzels sticks and popcorn between/under the cushions but otherwise he does not put forth the effort. I choose to ignore this oversight as the only other option is for me to do the vacuuming. When necessary, I employ my mother’s housekeeping coping mechanism: I take off my glasses. It’s amazing what you can’t see, and therefore what you can abide, without glasses. Anyway, back to the yogurt. Initially, I ran through the process with him as I made yogurt, and a day later he asked me to list the steps again as he took notes. A few days later, he gave it a go, sending me a proud text when his first batch was in the yogurt maker. Mind you, I’ve only been working two weeks and two days. But we eat yogurt for breakfast most days, weekends included. And even though we split one jar, the yogurt maker only holds five jars: The math is pretty straightforward. Oh, and I used one jar in a cake. That’s when it (already) became too much. When I said, Oh, time to make yogurt again, the look of surprise and exasperation on his face was as exaggerated as a silent-movie actor’s. Yes, it’s a commitment. So I made the yogurt. But I will vacuum only in a state of emergency. And I haven’t got a clue where my glasses are. It is with a deep bow to reality that I tell you of my return to the workforce. Full time, for an indeterminate amount of time. While there are many things that make freelancing pretty darn wonderful, a dependable, more specifically predictable, income is not one of them. After a string of unanticipated, albeit relatively modest expenses (including the stove going on the fritz), my financial nerves gave out. Uncertainty is the nature of the beast of freelance but that is beastly to my nature, and I come from a long line of money worriers. One of the most important things in preparing for office days is getting the coffee thermos (I looked it up; no longer trademarked) ready. Turned into a small project. 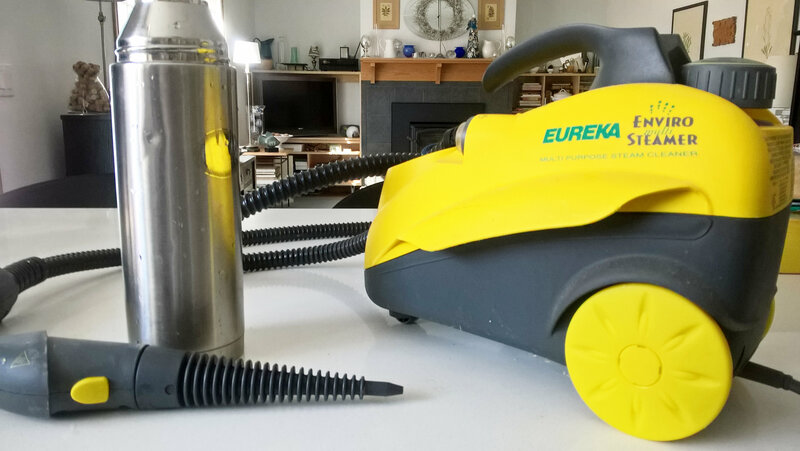 Being a proud and regular contender for Worst Housekeeper of the Year, I neglected to deep clean the thing before mothballing it. Coffee crud and stains won’t bring on anyone’s early demise, but the flavor might be a titch off. So I used Dip-It. Twice. Then a couple of rounds of vinegar and baking soda. The hubs suggested using the steamer, which did an impressive job. At least now whatever is still stuck to the sides I am confident has been effectively disinfected. 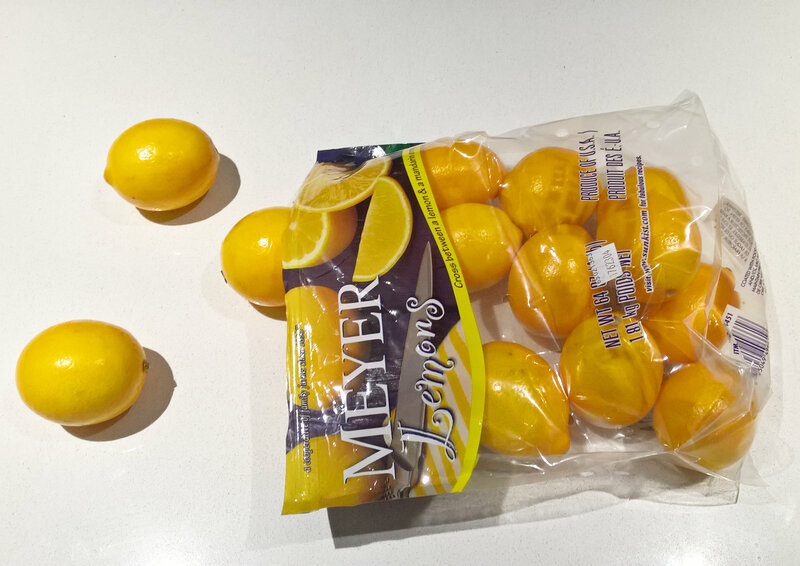 Let’s wrap this up on a happy note: All but two of the Meyer lemons have been put to good use. 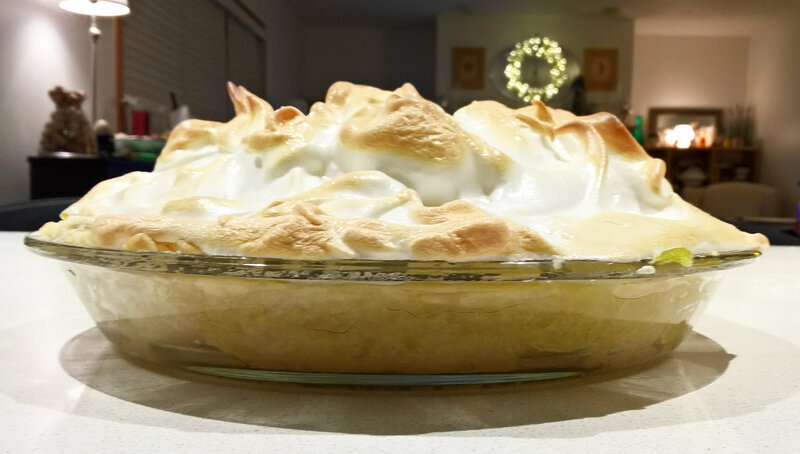 Last week I made a lemon meringue pie for the first time. The meringue was wonderfully marshmallowy. The recipe explicitly stated not to overcook or undercook the filling. And when I thought it was done, I cooked it for 30 seconds longer, realizing even in the moment that the line had been crossed. But still completely and deliciously edible. I picked the recipe because it was one of the few 1) calling for Meyer lemons and 2) using all the eggs of the eggs called for — I hate food waste and trying to figure out what to do with leftover yolks would drive me crazy. Detour: A book came out, eons ago, that had made-up words for unique but heretofore unworded situations. For example, excess bunerage is the term for having more buns than hot dogs. So this recipe avoided excessive yolkage. Swede Success Times Two – Finally! After the initial run of bad luck in Nordic cooking, I decided to choose a dish as close to no-fail as I could find. 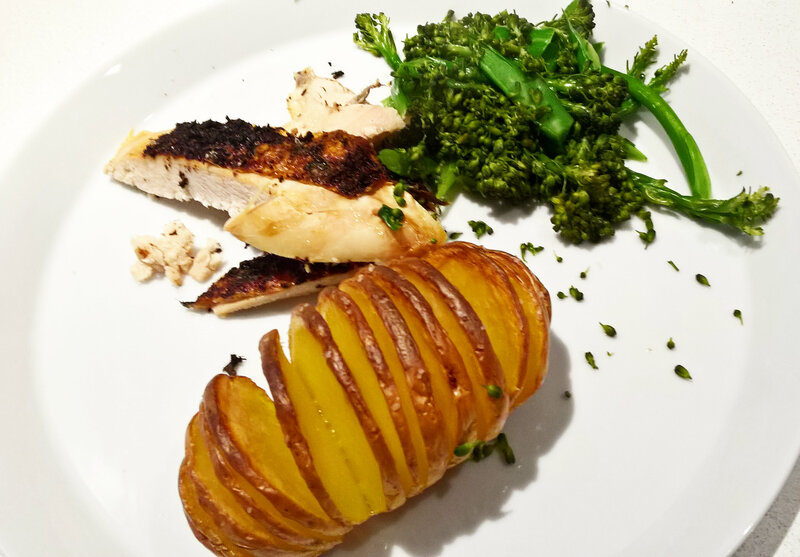 Hence Hasselback potatoes. Simply slice some Yukon Golds (this is a house-brand variety), lightly brush the exposed bits with olive oil, and roast. The only “hard” part is remembering to do a second brush of olive oil and sprinkle on some kosher salt at the halfway point. The hubs is so crazy about these that we ate our way through a whole bag of potatoes in a little over two weeks. Clearly the gods of Nordic cooking were smiling on me because the disappeared-into-the-ether Swedish meatball recipe wondrously, mysteriously reappeared on my Facebook feed. The recipe isn’t difficult, just a tad fussy, and the flavor is pretty delightful. Surprising what a little cardamom and nutmeg will do. A few adjustments: The recipe called for 1.5 lb of ground beef; the 1 lb in the fridge had to do (plus the 1 lb of ground pork, as called for). 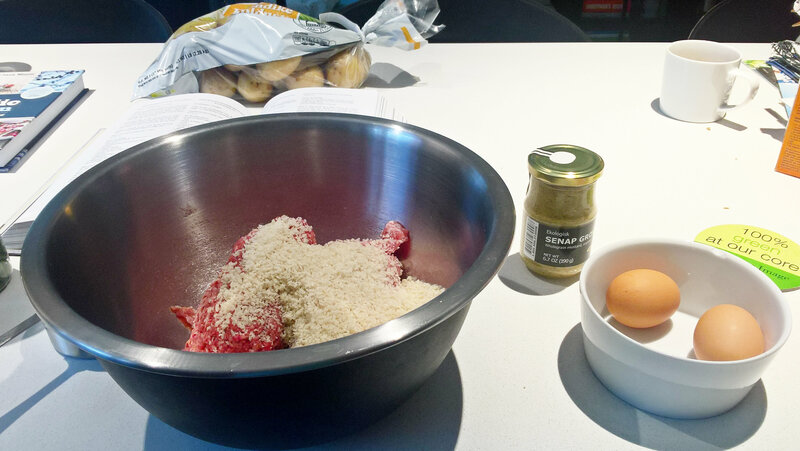 Rather than tear up bread, I decided Panko breadcrumbs would suffice — but figuring out the amount was pretty much a crapshoot. And since there was less meat, I only used one egg. The result was softer, looser meatballs — made them larger, too. Oh, and I used yogurt instead of sour cream, my usual substitution. Perfect winter meal. Good thing they turned out well because we’vegot a boatload in the freezer. If Thor is now on my side, as it appears, must be time to crack open those Nordic cookbooks again. This Nordic cooking thing is not going well. First the kransekake fail. Now Swedish meatballs. Really, how can Swedish meatballs get screwed up? Give myself a break, I said, do something easy enough, I decided. Well, the end result was perfectly-edible-but-flavorless meatballs. Again, referred to the humongous all-things-Nordic cookbook; the secondary cookbook didn’t even have a recipe for Swedish meatballs. No significant, no less distinct, flavor. One tablespoon of strong mustard was called for, so I added two and threw in some other seasonings. Still not enough. 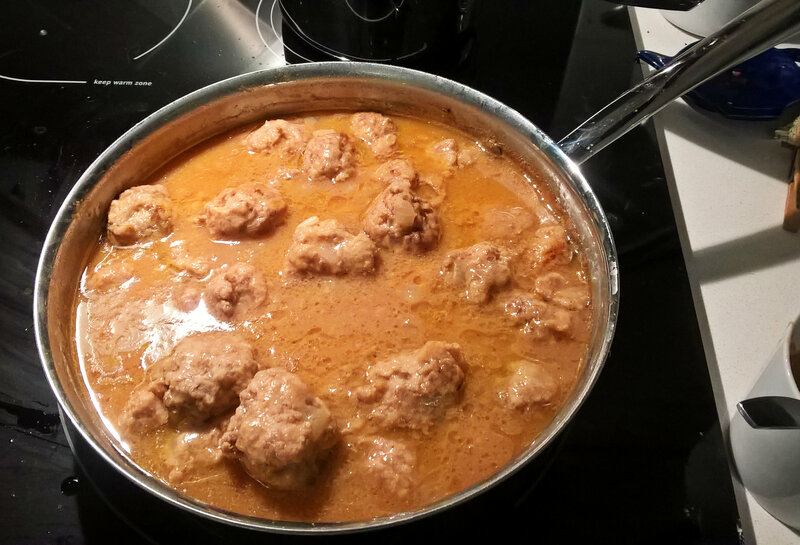 A day or two earlier, a Swedish meatball recipe rolled by on my Facebook feed and I remember thinking, Don’t forget that; that looks good. Several spices were listed. Couldn’t find the recipe again to save my soul. Still haven’t found it. 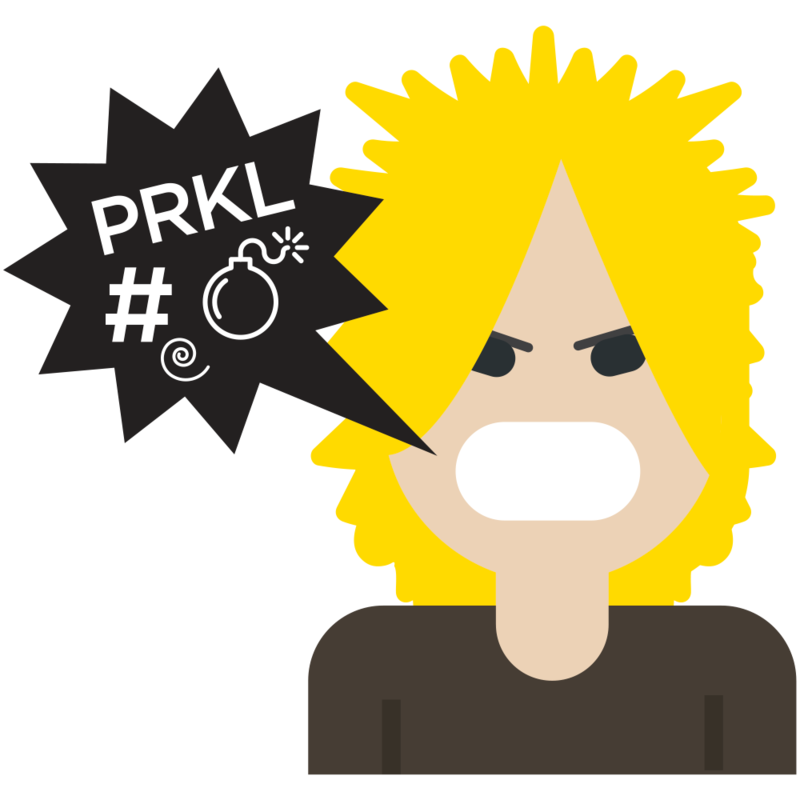 Resorted to swearing in Finnish. That’s the emoji above. Perkele: Say it like you mean it, as in the three examples here. World Peace Cookies, that is. I was all set to bake those but got distracted by a big bag of sharp, bitter, and tart. Costco had Meyer lemons on special. I’ve wanted to cook with them, and now I’ll get plenty of practice. Since the hubs doesn’t like lemon in savory dishes, tangy desserts it is. I don’t cook with citrus fruit often and had forgotten the lovely mess one can make. All. those. seeds! The rasp is normally employed for grating parmesan so zesting proved no problem. But we have nothing even vaguely resembling a citrus reamer or juicer. Brute force had to suffice. 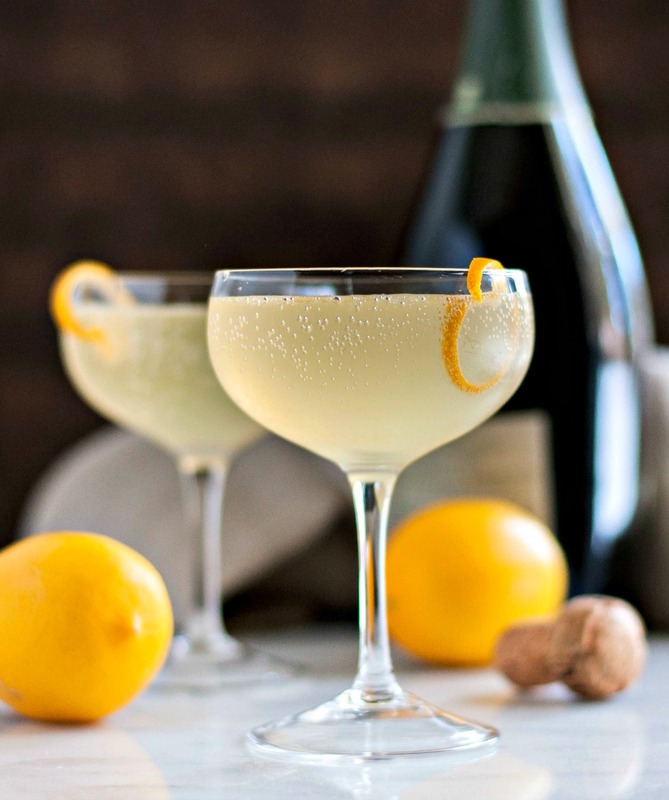 The recipe was specifically for Meyer lemons; found it on Epicurious. 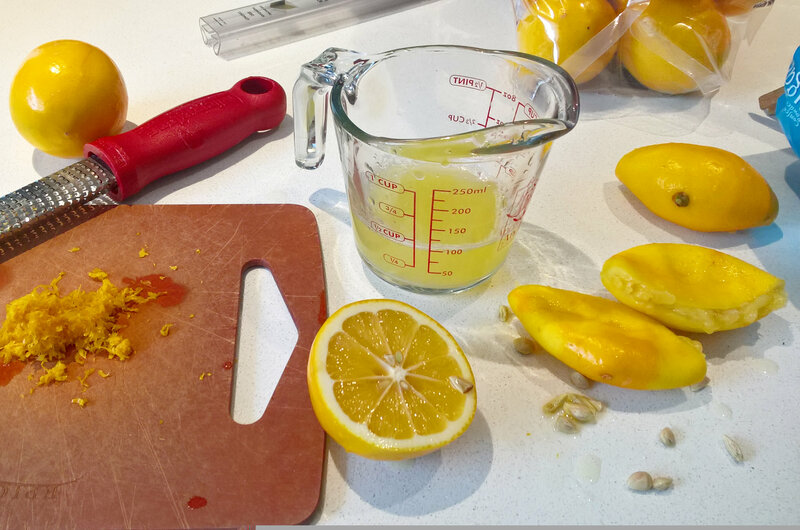 Good thing it called for 3/4 cup lemon juice – three lemons down, a dozen or so to go! The result is quite tangy, the flavor much deeper than had I followed the recipe in a mundane cookbook which called for a mere 3 Tablespoons of lemon juice. Why bother? Soon I’ll get back to world peace, once we’ve gotten through the sharp, tart, and bitter of winter. 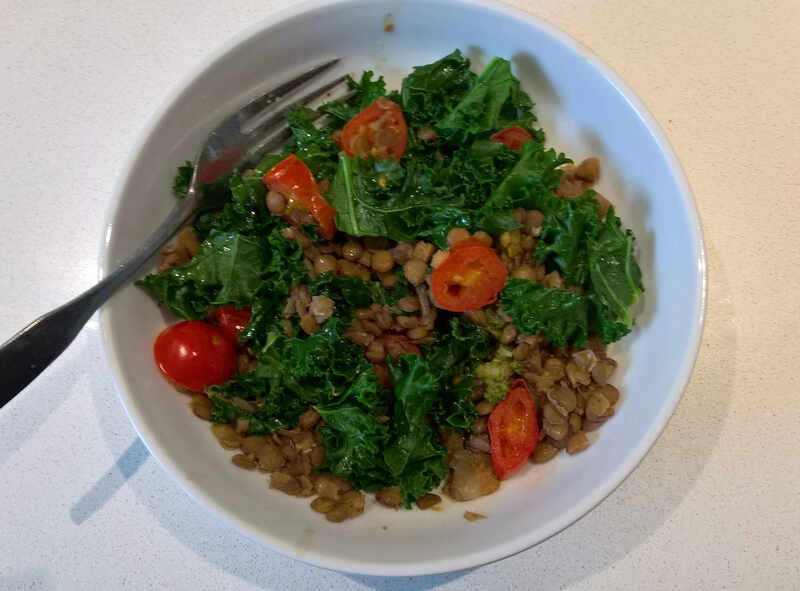 Lentils and greens, two more New Year’s foods. This choice was as much to return to better eating as for any illusion of influencing the cosmos in my favor. With typical American gusto, I’ve noshed my way through the holidays. Enjoyable, but time to return to reality. Lentils with pasta, canned tomatoes, and arugula was a long-time lunch favorite. The arugula held its rewarding crunch for several days. Amazing. But for reasons unknown, this dish fell off the radar. Perhaps I simply ate it one too many times, dispelling the charm. So I reworked the recipe for the new year. Two shallots cooked with the lentils. Added kale both cooked and fresh; ditto the tomato. Pasta seemed superfluous. Lunch perfection. Having forgotten the expansion factor of soaking lentils, I’ll be enjoying this for several days. Almost good enough to forget Saturday’s fail: I attempted to make kransekake on December 31. Is that the last fail of last year or the first fail of the new year? The recipe in the fairly recently produced seminal work on Nordic cooking looked amazingly simple and straightforward. 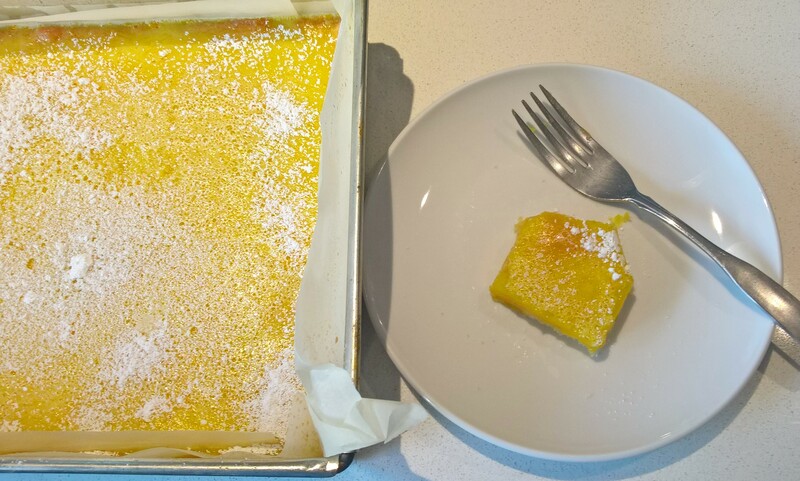 A little egg white, some sugar — grating the marzipan appeared to be the hardest part. Ha! Looking back, it’s almost as though the author included the recipe with an air of dismissive disdain, an embarrassing must. When the goal is a fairly dry dough, add wet to dry ingredients until the desired consistency is achieved. Again, something I realized in retrospect after following the lauded author’s recipe. Recipes later culled from the interwebs indicated either heat or cold to get the right consistency. (The recipe on Nordic Food & Living seems worth a go.) And clearly a boatload of elbow grease is needed to get the marzipan thoroughly incorporated. Previously, the closest I’ve come to marzipan is the character on Homestar Runner. 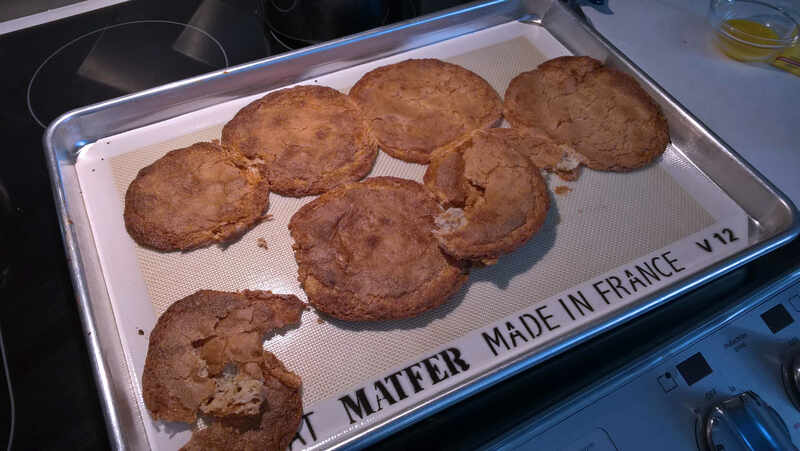 Since there was no way to firm up the soggy dough, I decided to bake some cookie-ish rounds in hopes of salvaging the experiment and getting something I could taste for reference. Watching the rounds expand, I upped the oven temp for a quicker set — which did nothing for the set and gave the round blobs a Florida-grade tan. I can only bear to share a tiny pic of the result. The taste is quite nice — kind of an almond-flavored toasted marshmallow. And I was smart enough to make only a small batch on a silicon mat, reducing waste and clean up. Perhaps tomorrow I’ll watch a few episodes of the Great British Baking Show while eating a bowl of lentils and kale to ready myself for the next challenge.